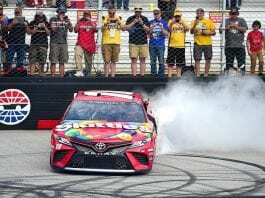 CONCORD, N.C. – Congratulations, Joey Logano. You just drew the first get-out-of jail-free card for Talladega. 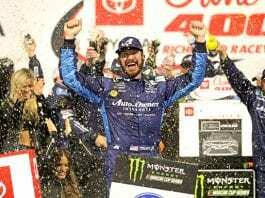 With a dominating victory in Sunday’s rain-delayed Bank of America 500 at Charlotte Motor Speedway, Logano punched an early-bird ticket to the Eliminator Round of the Chase for the NASCAR Sprint Cup. 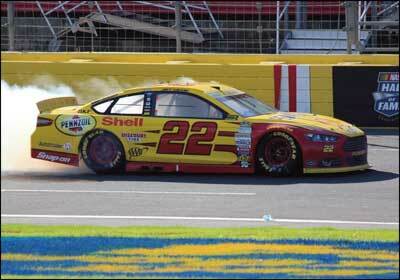 Now Logano can take a carefree trip to unpredictable Talladega two weeks hence. The same can’t be said for three of the sports superstars. 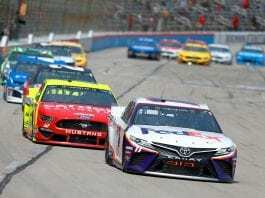 Matt Kenseth, Dale Earnhardt Jr. and Kyle Busch all had major issues at Charlotte and will have to rebound in the remaining two races of the Contender Round to keep their title hopes alive.